“Rewriting” explores the liminal space between the human and the machine. It focuses on handwriting–a symbol of human gesture and uniqueness. 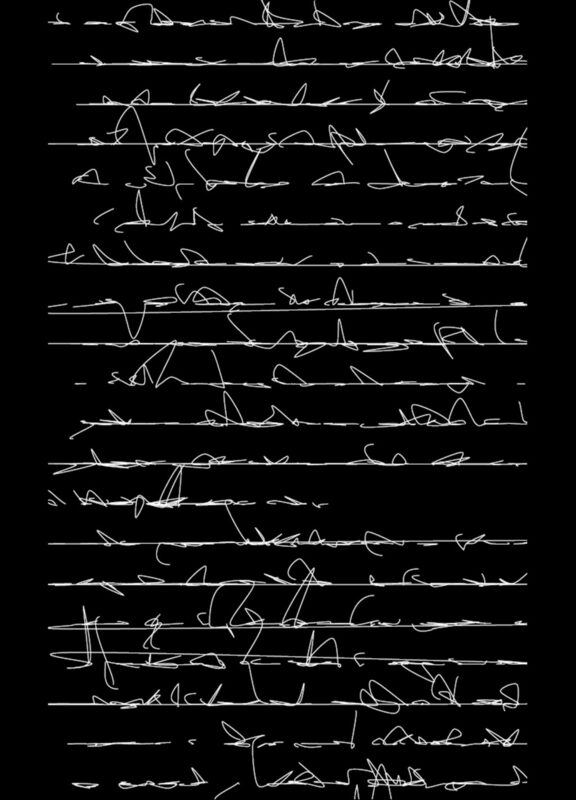 An algorithm generates lines designed to imitate handwriting while maintaining an aesthetic that is specific to the machine. The result portrays the threshold between the familiar and the unfamiliar and suggests new possibilities for representing and interacting with machines.